Enhance your logo with an eye-catching design. This ultra-soft, 100% cotton velour towel will add warmth and comfort to your life while showing off your brand. 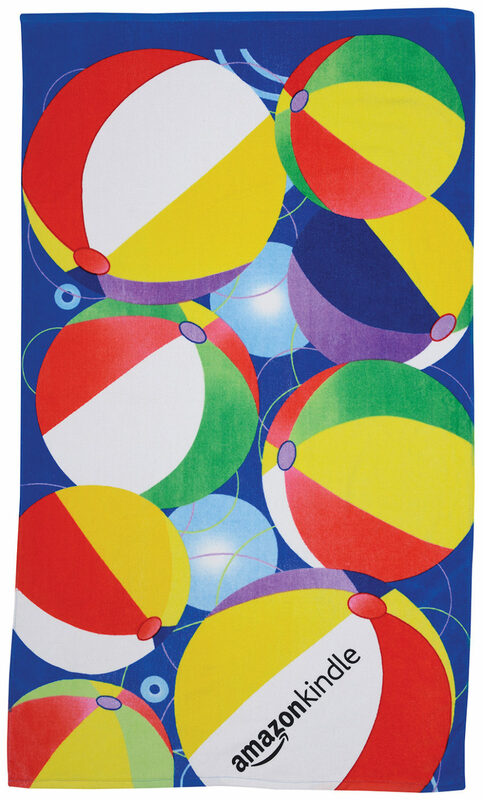 The playful beach ball design is perfect for a fun day at the beach. In today’s fast-paced environment, having stock designs on demand allows for quick and easy inspiration for a customer’s logo. 35″ x 60″ | 14.0lb./doz. SKU: FRBB-14. Categories: Beach Towels, Stock Design Fiber Reactive, Beach Collection. Tags: Stock, Stock design, FRBB-14, FRBB14, Beach ball, Beach ball stock design, Beach ball design, pro ship, Proship.